Elite resort brands—from Ritz Carlton and Hyatt to Marriott —offer discerning travelers the comfort that comes with brand familiarity and loyalty. While other travelers searching for an intimate boutique resort experience or an all inclusive property will find several appealing resorts to experience. 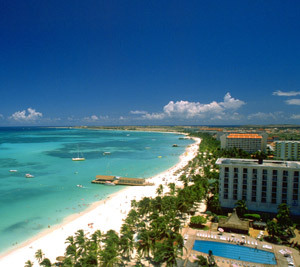 In Aruba your clients will also find an adults only resort. And for the budget traveler or those that want to enjoy a true “local” hospitality experience, we have many villa, bed-and-breakfast, and apartment-style accommodation possibilities.